Hal? Where Are The Used Cars You Purchased? One of the first movies that opened my mind to the power of technology was 2001: A Space Odyssey, the 1968 film from Stanley Kubrick. The movie was a cautionary tale about the danger of computers and technology becoming more human-like, creating dire consequences for actual humans. The central character was Hal, a computer that controlled the spacecraft and interacted with its crew. Of course, the movie purposely over-dramatized the risks of a technology-driven overthrow of our society, but its point about the ever-growing power of algorithm-driven machines is even more relevant today. I was reminded of Kubrick’s film while reading a New York Times piece about the decision by the large investment fund company, BlackRock, to eliminate managers of its mutual fund in favor of machines. This development is a big deal. It’s another step in technology-driven disruption of the investment world, where companies like BlackRock have believed that a “human touch” offers a competitive and financial advantage for individual investors. Except that the data suggests otherwise. The story notes that algorithm- and technology-driven investment companies like Vanguard have actually out-performed their people-powered competitors—while charging less to their clients. BlackRock’s decision, and the technology-driven trends it represents, is especially relevant for dealers. In some ways, our business is like the investment business years ago. Day-to-day decisions were largely made by people who, to varying degrees, relied on technology and tools to make their decisions, and track results. In the ensuing years, the roles reversed. The technology and tools took over the decision-making, and the former decision-makers shifted to more of an advisory- and oversight-type role. All the while, this role reversal lowered the cost of doing business, providing more efficiency and decision-making precision that combined to increase overall profitability. You could apply this statement to the current state of new/used vehicle inventory management in dealerships. The “old way” is still largely the only way decisions get made. You still have people choosing inventory, deciding what to pay and how to price/promote individual vehicles. To a person, these individuals believe they have “eyes” and instincts that are better than the competition down the street. Perhaps the biggest take-away from the story is this: BlackRock is essentially playing catch-up ball. They appear to have resisted the advance of technology until it became painfully obvious the time had come to do things differently. In this way, I find the BlackRock story to be an early indicator. 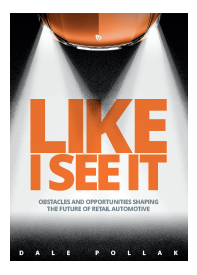 It illustrates technology-driven change that is likely imminent for the car business. Similarly, it indicates an opportunity for dealers who get in front of the emerging trends. Dale, would you say we have already started in the direction of technolegy choosing the “Best” inventory for our stores?. The auctions do the hard work of determining the vehicles condition before they hit the auctiin block. Then we have tools like VAuto to tell us which vehicles are the best for us to inventory and what is the ideal price to own them for and what price to offer them for retail. Have we made it easier for the used car manager to do his job, and heaven forbid are we replacing the need to have the experienced used car manager to run our used car departments? 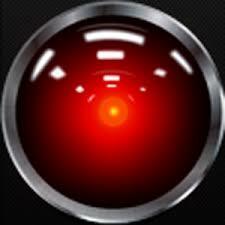 If we get a computer named Hal to be the used car manager, will give us more time to watch old movies. Thank you for your question. Yes, I would agree that automotive retail is in the early stages of technology adoption. Most dealers now use technology/tools to help them manage their used vehicle inventories, and we’re seeing adoption rates rise for new vehicles. I would note, however, the presence of the technology doesn’t necessarily indicate its optimal use. The persistence of aged vehicles is but one symptom of dealers or used vehicle managers choosing to ignore the market insights their tools provide or, perhaps, not having sufficient attention or time to more proactively manage these investments. In my view, a primary purpose of any inventory management technology is to make the individual in charge, whether it’s the dealer or a manager, to be more efficient, profitable and successful. I also do not believe that the advance of technology in automotive retail automatically means that used vehicle managers, or even new vehicle managers, will lose their jobs. You’ll always need someone to validate whether a technology-recommended (or purchased) vehicle will appeal to potential buyers. Similarly, you’ll always need someone who can manage the day-to-day needs of the dealership’s inventory investments—not to mention coaching sales associates, meeting with customers, managing expenses, working deals…you get the picture. I do think we’ll see a day when more automated decision-making tools are the industry norm, and I certainly hope this evolution means used vehicle managers have more time at home, with the families and a bowl of popcorn, enjoying a classic movie.